Solenoids are basically electromagnets: they are made of a coil of copper wire with an armature (a slug of metal) in the middle. When the coil is energized, the slug is pulled into the center of the coil. 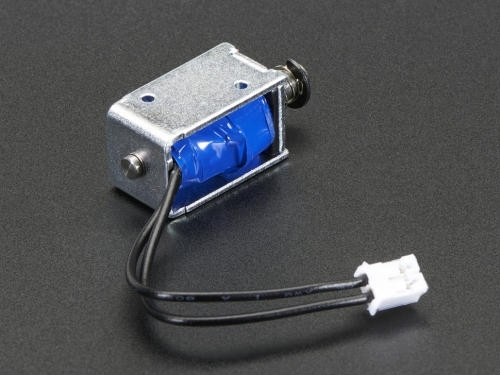 This makes the solenoid able to pull (from one end) or push (from the other). 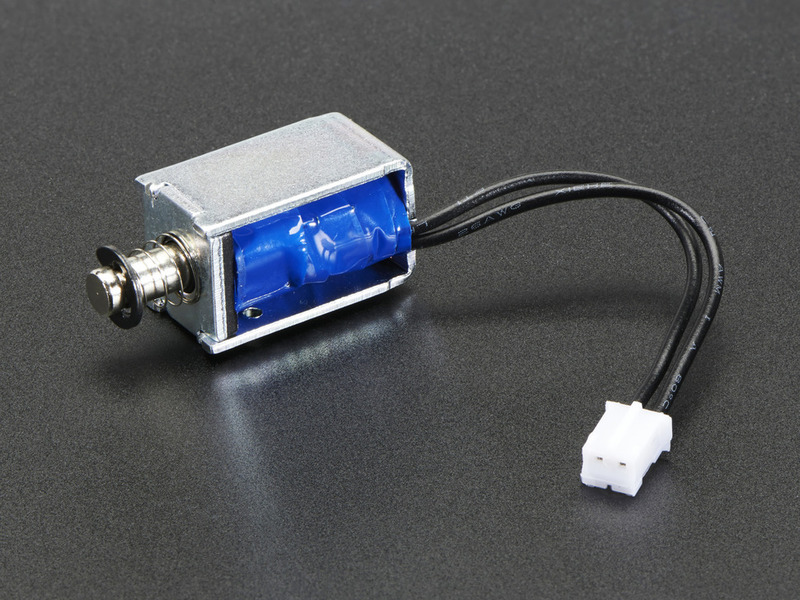 This solenoid in particular is very small, with a 20mm long body and a 'captive' armature with a return spring. This means that when activated with ~5VDC, the solenoid moves and then the voltage is removed it springs back to the original position, which is quite handy. Many lower cost solenoids are only push type or only pull type and may not have a captive armature (it'll fall out!) or don't have a return spring. This one even has nice mounting tabs, its a great all-purpose solenoid. 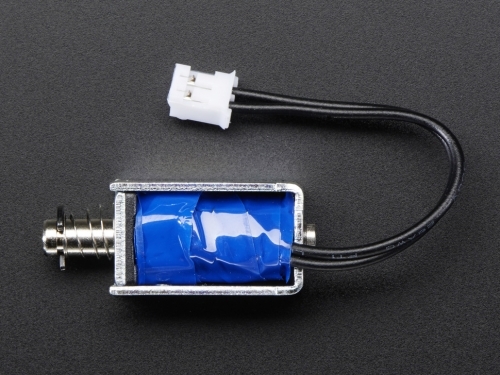 We also have a slightly bigger small push-pull solenoid and a huge large push-pull solenoid in the store! To drive a solenoid you will need a power transistor and a protection diode, check this diagram for how to wire it to an Arduino or other microcontroller. You will need a fairly good power supply to drive a solenoid, as a lot of current will rush into the solenoid to charge up the electro-magnet, about 1 Amp, so be careful of trying to power/activate from a computer's USB.